News Corp. chairman Rupert Murdoch and other big time Fox entertainment executives want Conan O’Brien bad. They are pushing for a done deal to bring the ousted late night host back to the small screen by May 17, just in time for their upfront presentation to advertisers, the Los Angeles Times reports. Fox Entertainment President Kevin Reilly and Entertainment Chairman Peter Rice are leading the Conan charge at the network, but other executives want proof that a late show will bring in profits. Fox is not willing to dole out as much cash as NBC did for The Tonight Show, according to the Times. They want to spend less than $60 million a year, while GE gave up $90 million to Conan and his staff. They might consider running to cable TV if they get a better offer. But one executive described a proposed plan as “a deal that we could live with.” Although the plan could fall apart any minute. 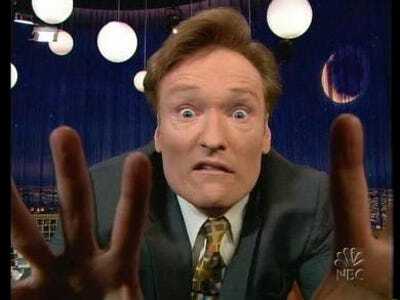 While Fox executives and Conan’s team argue over budgets, Conan will be on tour.